March Madness continued with Promotion Night on March 17, 2016. The night featured the promotion of “The Batman” Bat Unur Erdenebayer. Bat was promoted to Sankyu 3rd degree brown belt in judo. The native Mongolian has been practicing judo for just about 4 years now. He made his White Dragon Judo Club debut at the 2014 North South Judo Tournament. He has shown his raw athletic ability and his willingness to learn. In every practice or tournament Bat would give nothing short of 110%. No doubt about it “The Batman” earned his promotion through hard work. There is no limit for this young judoka and the season is just beginning. 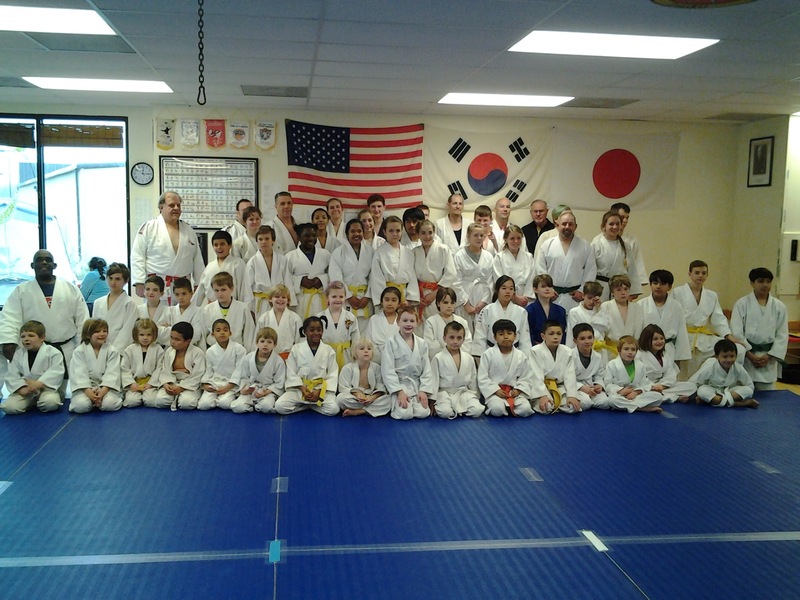 White Dragon Judo Club got March madness started on the right leg with Promotion Night on Wednesday, March 2, 2016. With rank examiner Randy Pierce presiding, Eric Fink and Anthony Weeks were promoted to Nikkyu second degree brown belt. They are the second and third judokas promoted to this rank this year. 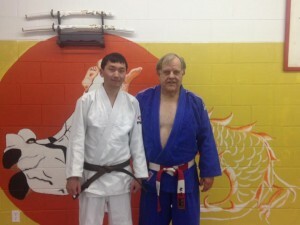 Eric Fink has been in judo for six years. 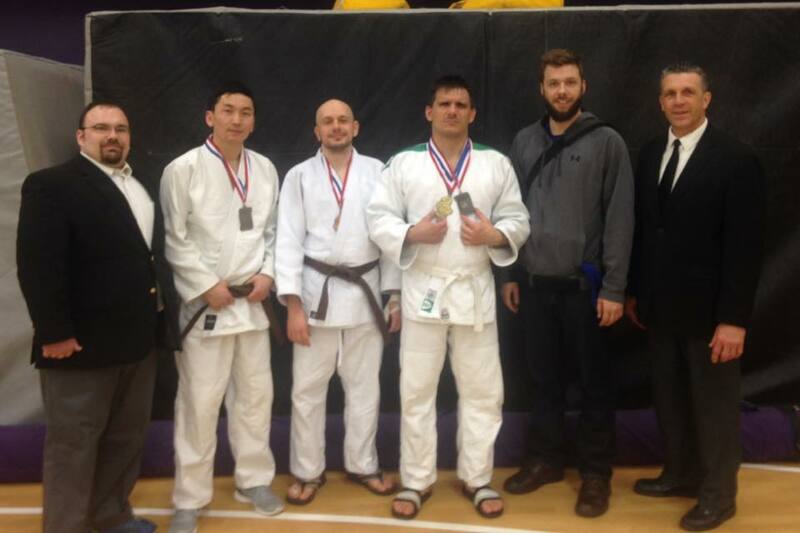 The Gateway Judo Tournament silver medalist worked hard every practice to make himself better on and off the mat. Anthony Weeks is a great example of a family that throws together stays together. 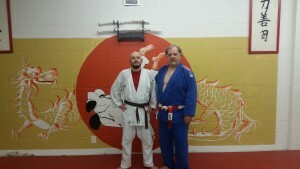 The fighting patriarch of TEAM 3D, Anthony got into judo in order to keep up with his sons, Anthony and Ryland. He has contributed to the growth of judo as a parent, volunteer, coach and youth instructor. Eric and Anthony are just a few budding faces of White Dragon Judo Club that will be black belts one day. 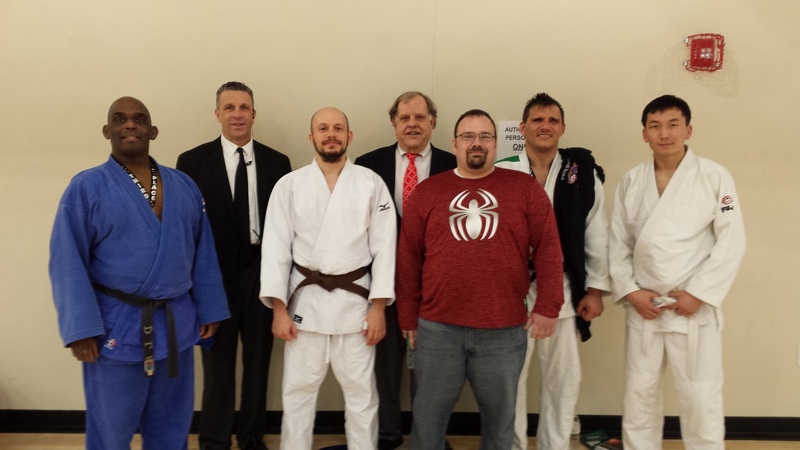 Members of White Dragon Judo Club were in attendance for the Kirkwood Judo Club’s first open judo workout of year on February 20, 2016. There was a wide variety of judokas from across the midwest region also attending this workout. Newaza was the theme of this workout. Drills were conducted in order to improve the judokas ground techniques. The instructors stressed an offensive mentality in newaza. Attack even when you are on your back. Having good newaza skills is part of the equation of being an elite judo player. There will be many more open judo workouts throughout the year like this. Do you want to be a part of it? Contact us and checkout the website at www.whitedragonjudo.com. 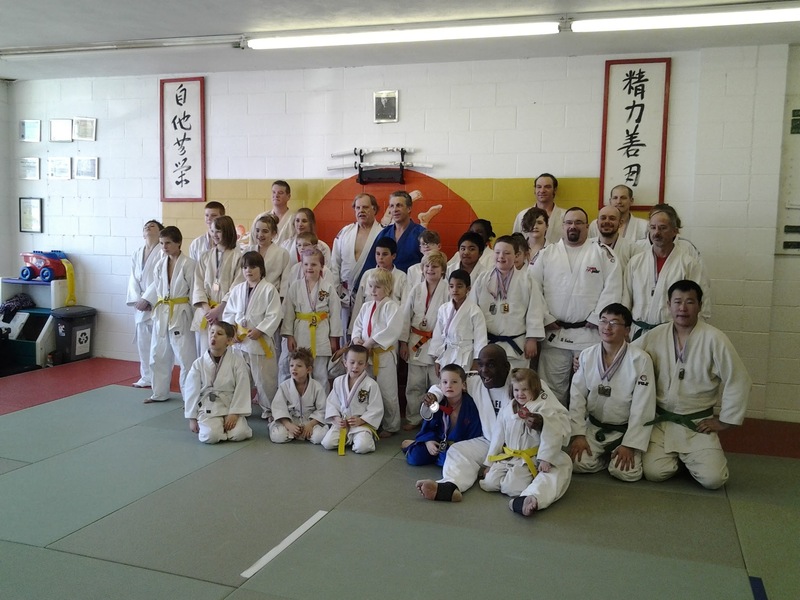 White Dragon Judo Club hosted the first Friendship Tournament of the year on February 20, 2016. This tournament had a record attendance. The dojo was packed with judokas and parents. Competitors came from several dojos within the state of Missouri. The matches were very competitive and the junior judokas were learning and progressing. One judoka stood out above the rest. 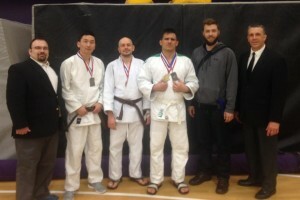 White Dragon junior judo student Ryland Darevsky won 6 of 7 matches. Ryland showed great technique for his level winning all of his matches via pin or ippon. If your child is not involved in judo it is not too late. There is plenty of room at this all inclusive dojo. Contact us or check out the website at www.whitedragonjudo.com. 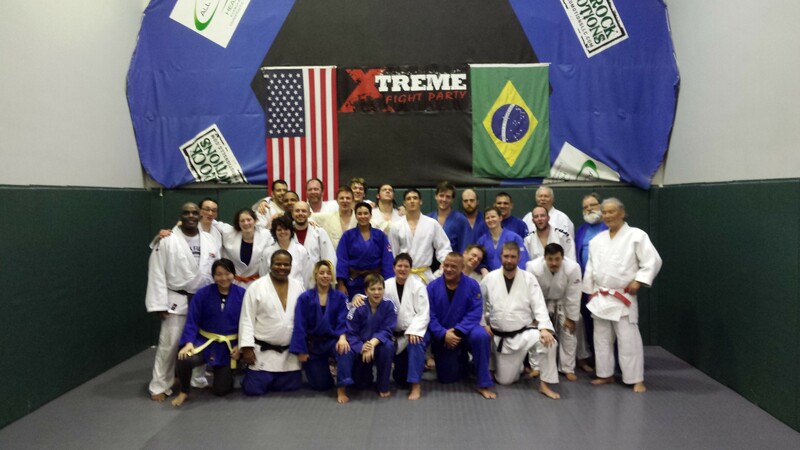 It was a great judo practice on Wednesday, January 27, 2016. 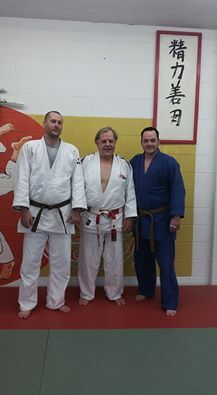 Jay Baker was promoted to Nikyu, second degree brown belt. Jay started judo in September 2012 while attending a class at his community college. He joined White Dragon Judo Club shortly thereafter and dedicated himself to the martial art. The college sophmore has come a long way in such a short time. Jay attended many practices and judo camps. He spent countless hours polishing his technique. At first, he did not do well in tournaments but with time and practice Jay started seeing results. Jay is a prime example of perseverance, desire and dedication. White Dragon Judo Club would like to congratulate Jay Baker on his current promotion.